Dawn Upshaw, internationally renowned soprano and Bard Graduate Vocal Arts Program Artistic Director, will perform with pianist and Associate Director Kayo Iwama, the singers of the program, and the Bard Conservatory Collaborative Piano Fellows. The concert will feature premieres by various composers and will include some new and recently composed songs set to the poems of Emily Dickinson including "Forever is composed of nows" by Eric Nathan and "In the Name of the Bee" by Shawn Jaeger. Other works from composers John Harbison, Joan Tower, Gregory Spears, Nina C. Young, John Luther Adams, Andrew Hsu, and John D. McDonald will be performed. The exhibition I’m Nobody! Who are you? The Life and Poetry of Emily Dickinson will open at 6:30 pm for concert attendees. $35/$25 for Morgan members and affiliates of Bard College. 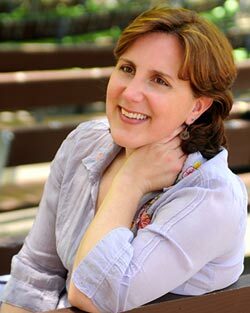 Dawn Upshaw. Photography by Brooke Irish.